After all the Halloween celebrations that you've enjoyed over the weekend, isn't it a good idea to give your body and gut some rest by having a meat-free day today? Surprise surprise, 92% of Australians aren't eating enough vegetables. That's 92% of Australians missing out on essential vitamins, minerals and phytonutrients (anti-oxidants), all of which are packed in vegetables. We're eating too much meat. And eating too much meat is linked to increased inflammation in the body, which is then linked to chronic diseases such as obesity, heart disease, high blood pressure, high cholesterol and diabetes. 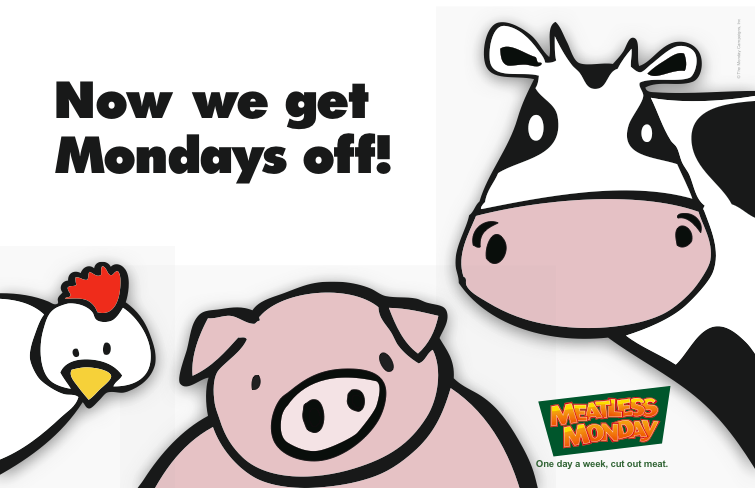 So what happens when you have a meat-free day once a week? You're pretty much saving the planet by contributing to reduction in greenhouse gas emission. You're nourishing your body with micro-nutrients in vegetables to keep you healthy. A perfect family dinner on a cool spring night! This curry is very mild, suitable for children too. 1 bunch Coriander, to garnish. Prepare chapatti: Combine flour and yoghurt in a bowl. Mix and knead for 1-2 min or until the dough reaches a softness similar to that of your ear lobe. Adjust with water as needed. Cover with cling wrap. Keep it aside to rest. Make curry: Combine olive oil, garlic, ginger, turmeric and cumin in a medium-sized pot over low heat. Stir continuously for 2-3min or until fragrant. Add onion and cook for another 2min or until translucent. Add tomatoes and mushroom. Stir to combine. Add stock. Turn heat to high and bring to the boil. Reduce heat to low and let simmer for 10min. Combine yoghurt, garam masala, peanut butter and honey in a small bowl. Add this mix to the pot and stir through to combine well. Finish off chapatti: Divide the chapatti dough in to 8 balls. Using a rolle pin and a board, stretch each ball into a thin circle, just like a tortilla. Heat olive oil in a pan over medium-high heat. Place a sheet of chapatti and cook for 30-60sec or until brown and tiny bubbles form. Turn over and cook for another 30-60sec. Repeat with all chapatti sheets. Serve: Serve curry warm with chapatti. Garnish with coriander leaves. Add 1-2 tsp of cayenne pepper for a hot kick. Peanut allergy sufferers: Replace peanut butter with ricotta cheese or milk of choice to maintain the thickness and the creaminess of the curry. Serve with Basmati rice instead of chapatti. For a super creamy finish, blend everything at Step 6 and add in the chickpeas later.